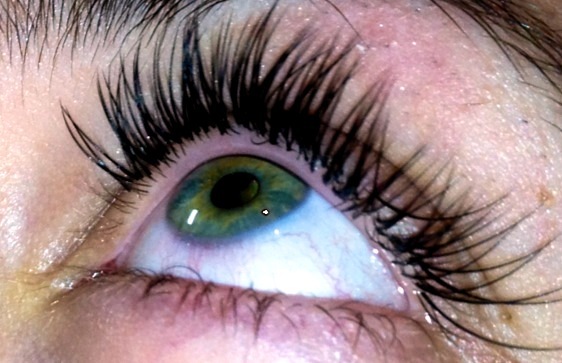 Eyelash Extensions became very popular over the last year, and as an eyelash extensions technician I feel obligated to bring this subject closer. How the procedure looks like? Synthetic (silk or mink) or real fur eyelash extensions are attached to your own eyelashes (not the eyelid) using a special medical adhesive, designed for this type of procedure. 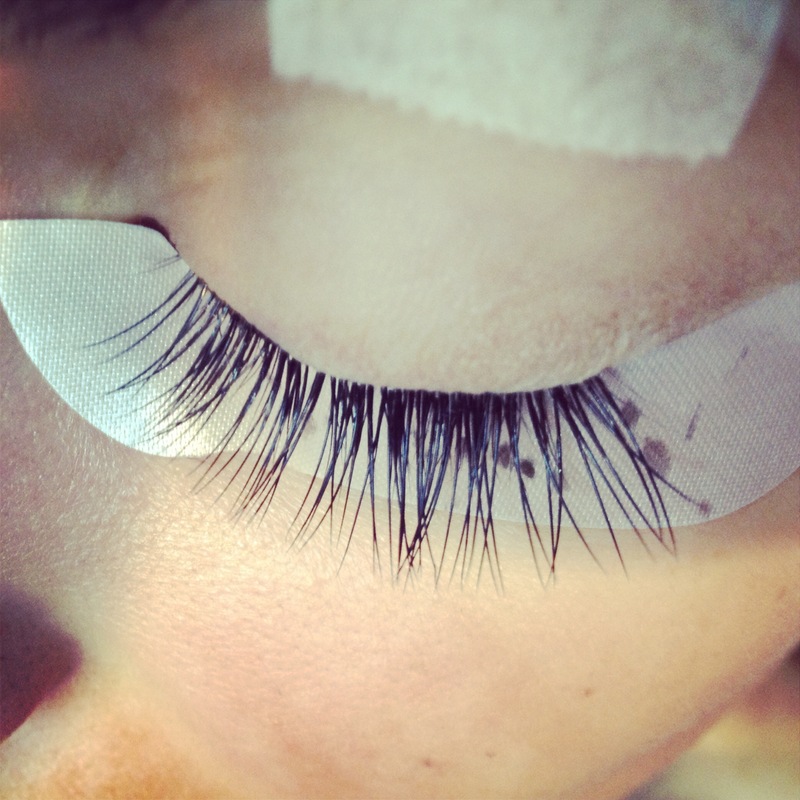 Depending on the amount of lashes, technique and experience of a technician, it will take from 1 to 2 hours to apply them (sometimes longer). You have to keep your eyes closed for the whole time, while laying comfortably on the bed or special chair. It’s very relaxing procedure, and most of my clients fall asleep:) so it’s also great gateway and break from our every day, busy life. The tech will cover your bottom eyelashes first, with under eye patches, to keep your lower lashes out of the way. Then using pair of tweezers she or he will apply extensions , one by one, to your own hair. 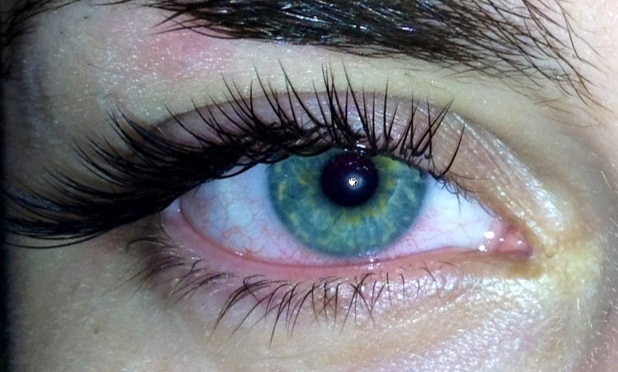 (most techs work on both eyes at the same time, adding lashes at the same spot. It helps to keep symmetry, and it’s also less irritating for the client, but then again, everybody has a different style of work). Even though the glue is safe for your skin and eyes, the fumes from it, may bother you (or even the tech) and cause slight sensation of burning. You should not worry about it, every tech should have a little fan, which helps the fumes to go away in few seconds. Eyelashes should not be attached all the way, and touching your skin, but infused about 1 mm from the lid. That way your hair still can breath and the extension is not blocking its natural cycle. I personally use primer before applying lashes, and the sealer after they are done, to keep them in shape and add that natural gloss. Although, it’s not a mandatory. It depends how efficient your technician is, what type of glue is used, and how well you take care of them. Typically, if you want to maintain tour new eyelash extensions you should come back every 2 to 3 weeks for refill (touchups- where fallen extensions are replaced with new ones). The strength of the glue may be from 2 to 8 weeks, but it’s impossible for extensions to stay fully on for 2 months without fill in in between. It also depends on your own , natural eyelash cycle, which is personal, and different for everybody (due to body heat, natural oils, etc.). We shred 1 to 4 lashes everyday. Take that into account, and don’t expect your extensions to stay on forever. It’s a semi permanent procedure. How to take care of your extensions? Don’t touch your extensions. The less you touch them, the longer they will stay on. 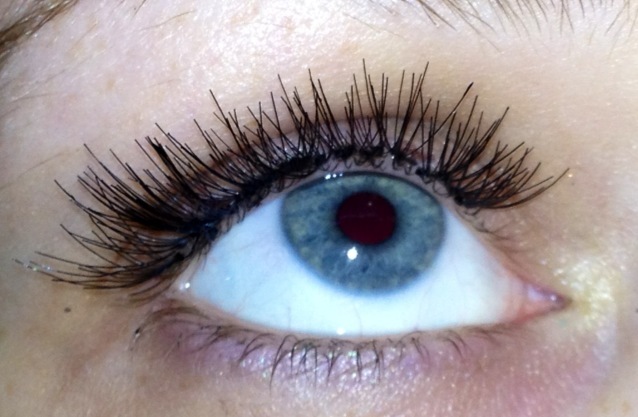 Your new eyelashes are extensions of your own hair, and just like them, they constantly grow and live on their own. You should brush them (in the morning is the best) with clean mascara wand (you can get those at Ricky’s or Sephora), but be gentle. Shape them half way through, but don’t go all the way through the roots (like you would do with mascara), since you can accidentally pull them out. Also, for the first 2 days, you should not wear eye makeup (especially waterproof one-which contains oils, and it will weaken the adhesive bond). For the whole time you’re wearing extensions, you should use OIL FREE products (like makeup remover). You should also try to sleep on your back, instead of your side (and definitely not your belly). If you have a hard time with doing it, try using sleeping, fabric mask. You can also sleep between 2 big pillows on your sides, so they keep you in balance on your back. What you should and shouldn’t do prior and during your appointment? -be prepare, do your research. We all know you should tip around %20 of the ORIGINAL price. 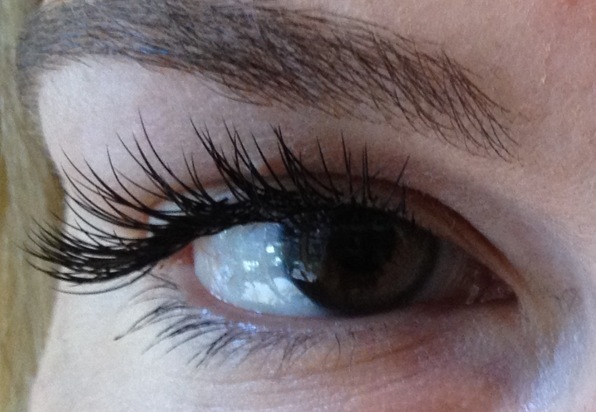 Set of eyelash extensions in NY is arout $200(in some saloons even more). The average tip in saloon is at least $20 or higher. Especially when you have an appointment in the spa/saloon. If tech is busy, your lateness will affect other clients and their schedules. Most places have 15 minutes tolerance. After that, they may not be able to take you in. -take care of your extensions. We’re not magicians. If you’re not following after-care instructions (using oil-free products,etc. 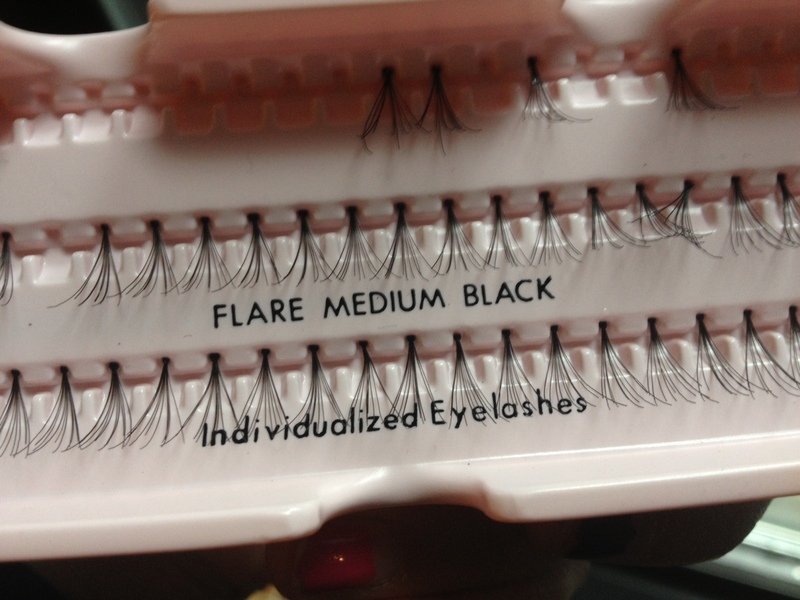 ), you should not complain your lashes haven’t stay as long as expected. The best time to take off your makeup is night before your appointment. That way all the oils will evaporate, and your new extensions will bond better with hair. -expect technician will remove either makeup or your old extensions for free. Whenever the product is used (makeup remover, adhesive remover, patches etc.) the saloon has to charge you (it’s usually cheap). Every move of your body parts will affects the application. So please don’t do Yoga stretching (yup it happens to me lol) or don’t be too emotional (with your hands) while telling a story to your tech. Seriously if a professional tells you not to open, it means DON’T OPEN. that means you purchased CLUSTERS, which will stay only for few days. And here is the difference of how they look in real life. This entry was posted in Beauty Products Reviews and tagged aftercare, beautiful freak makeup, cluster lashes, clusters, extensions, eye care, eyelash, eyelash extensions, eyelash extensions aftercare, eyelashes, eyes, eylelashextensions, how to take care of eyelash extensions, individual eyelashes, makeup, makeup artist, makeup tips, mink, mink eyelashes, nyc, price, procedure, silk, silk eyelashes, technician, tip, what is eyelash extensions, what to do before eyelash extensions. Bookmark the permalink. Reblogged this on Beautiful Freak Makeup Artistry. Pingback: Holiday Makeup Trends | Complexion Perfection.